Players to form groups of two, 1 at A , 1at B. 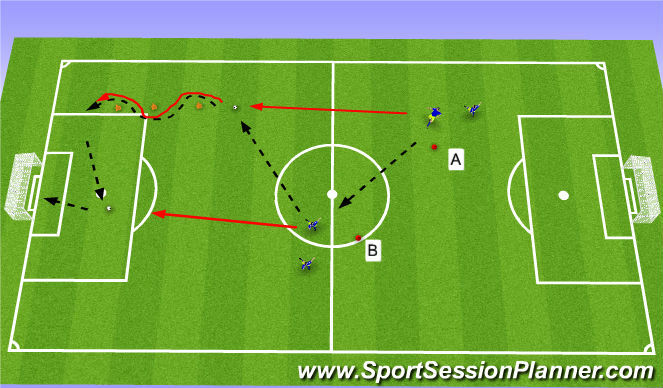 A to play a 1-2 with B, A to dribble through cones and pass the ball to A who will then score. Players to start back at opposite starting point.